The Bag-In-Box packaging solves problems encountered by producers and consumers of edible oils, affording significant savings in expenses and environmental advantages during use. The Bag-In-Box packaging has many advantages in comparison with the rigid, cumbersome oil containers. The Bag-In-Box packaging is easier to handle, carry, use, and store. Thanks to its form, more units can be contained in a given volume, thus allowing for efficient storage and distribution. 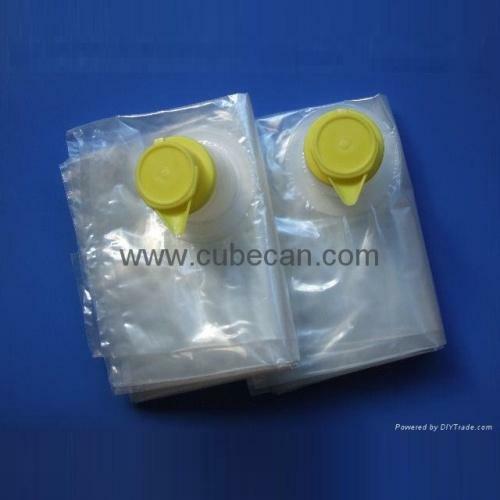 Using the pouches for both high and low volumes (five to 1,000 liters) makes for more efficient manufacturing, storage, marketing and consumption. The Bag-In-Box system enables easy pouring in both small and big quantities. The Bag-In-box packaging consists of a multi-layer film pouch inside a corrugated cardboard casing. 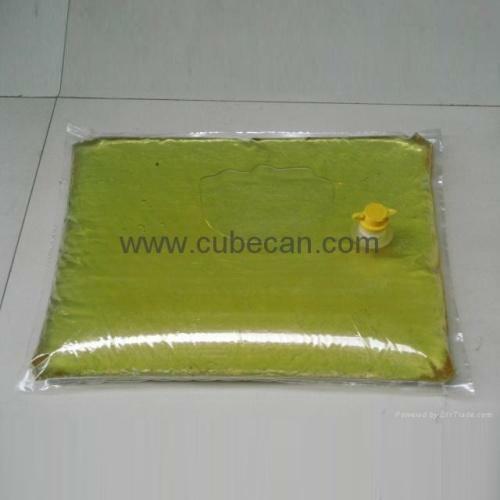 The pouch has flexible, strong walls, designed for the attributes needed during use, storage and shipment of the oils. The Bag-In-Box packaging saves 65% of the container shipments and more than 80% of the storage space for empty packaging. The high filling rate of the Bag-In-Box packaging affords a higher manufacturing and packaging capacity. Pouring oils through Bag-In-Box systems is a clean, easy process, free of waste and the trouble entailed in pouring from rigid containers. No wonder that after having tested the Bag-In-Box packaging, many professionals in food catering services preferred it. The various Bag-In-Box pouring systems enable oil producers to fulfill the special requirements of their customers. The Bag-In-Box packaging is environment-friendly, since it can be fully recycled and thus reduces waste volume. Also, it uses 60% less plastic raw materials and contributes to reduced consumption at the source. Corrugated cardboard, which makes up 85% of the Bag-In-Box packaging, can be fully recycled in any recycling center in Israel. The empty pouch buckles, therefore it is easy to dislodge from the box and discard. The empty pouch consumes 1/3 of the plastic raw materials contained in any other packaging of similar volume, and when discarded, its volume is 5% of the volume of corresponding rigid containers.